Tiffany is the caregiver to her 15-year-old son, Devin, who received a heart transplant in December 2017. Their journey began when Devin was an infant – he went through five open-heart surgeries by the time he was eight years old. Devin was born with hypoplastic right heart syndrome. He also developed a condition called plastic bronchitis. The condition caused intense coughing. “We thought he was coughing up part of his lung,” Tiffany said. In January 2016, the family was told that the only solution was a heart transplant. This news worried Tiffany, and Devin’s initial reaction was to refuse the transplant. 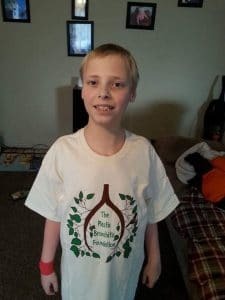 At the time, Devin didn’t fully understand what was happening but he eventually came around to the thought of a transplant. “It took a long time to realize what we were praying for,” Tiffany explained. The waiting list was tough on the family. 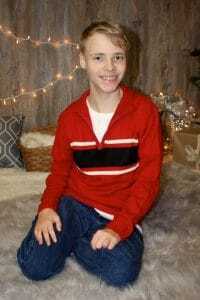 The family’s living room looked like a hospital room, and Devin’s condition was continuously up and down. In November 2017, Devin’s heart condition deteriorated, and he required hospitalization. Devin was in the hospital when they received “the call.” Tiffany calls that day their miracle day. At the family’s home, there was a family of cardinals that Tiffany and Devin would watch. The day they received “the call,” Tiffany went outside to get some air. She instantly saw two red cardinals. She called her mother and told her that their cardinal friends were with her at the hospital. Fifteen minutes later, they were told a heart was available. Tiffany waited for her husband to arrive before telling Devin the news. Devin was nervous when they told him, but his parents reminded him that he needed the new heart to feel better. It has been a bumpy road post-transplant, but Devin is now back to school and enjoying being a teenager. Tiffany encourages other caregivers to keep faith through their journeys. “We are truly grateful for Devin’s donor and their family,” Tiffany said. The family recently sent a letter to the donor family and hopes to receive a reply soon.